Homemade Bath Tea that is Rose scented and promotes relaxation! When it comes to unwinding, relaxing and enjoying some quiet time — I think of a nice long hot bath! 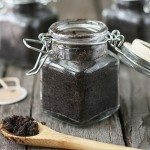 I’ve enjoyed making some bath and body goodies to pamper myself (and gift to friends and family), so I recently tried my hand at a homemade bath tea. 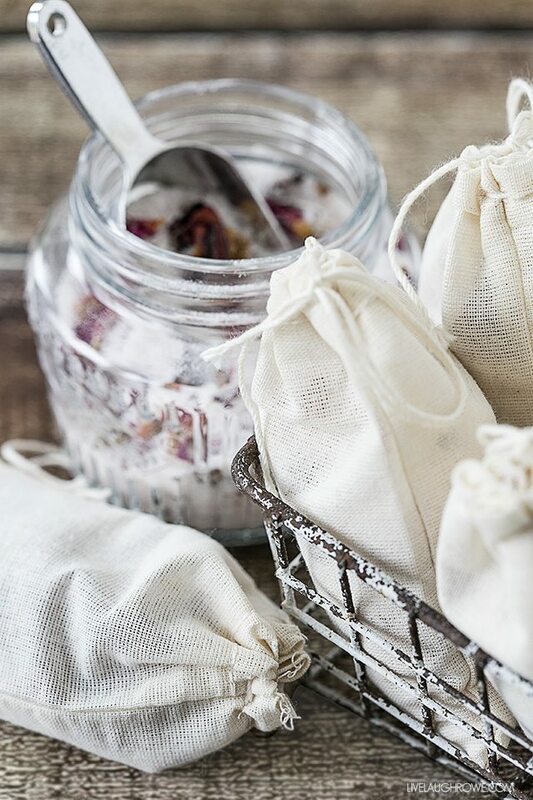 This rose scented bath tea is easy to make and the scent is not only soft, but relaxing. You know what that means, right? Perfection! Like I mentioned earlier, this is super easy, so there aren’t any ‘tutorial’ photos, but I pinky swear promise you’ll understand why. Combine epsom salt, pink himalayan sea salt and baking soda in a bowl. Mix thoroughly. 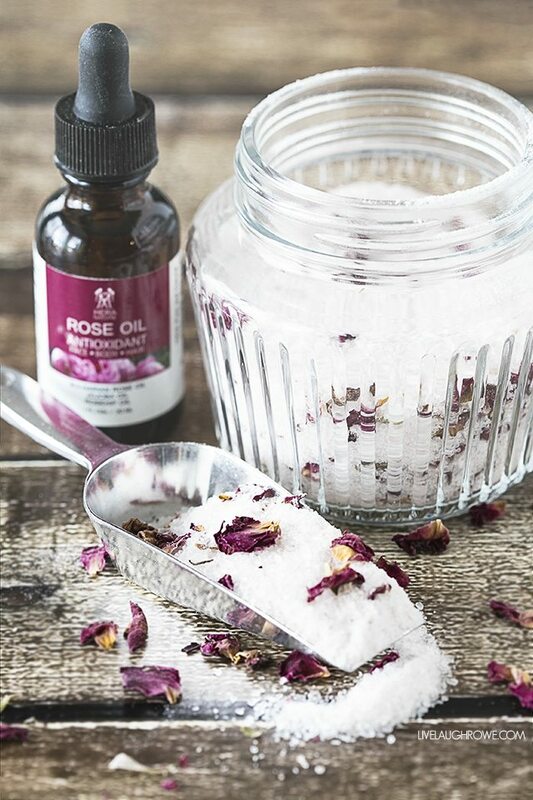 Add 10-12 drops of rose oil and mix again, add dried rose petals. Scoop into muslin bags, will make approximately six bath tea bags. Soak in tub 20-30 minutes. Enjoy! 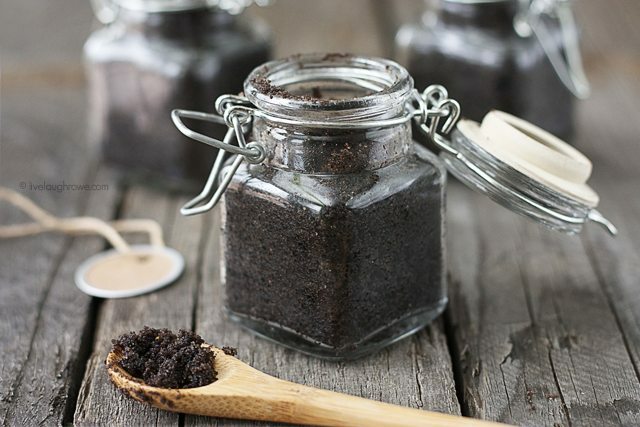 *If you decide to place in a mason jar, you’ll add about 1/2 to 3/4 cup of this mixture to your bath water. *For a more vibrant pink color, add red food coloring while combining ingredients in step one. 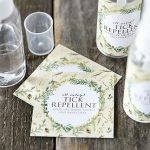 I put some of the rose oil on my wrists before typing this post — I just love how soft and relaxing it is. The rose oil I used is a mix of bulgarian rose oil, jojoba oil and rosehip oil. 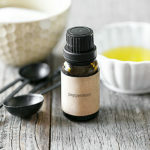 I haven’t jumped on the essential oils bandwagon, but I have found this to be a lovely oil that will be put to good use! 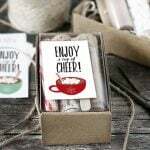 These would make a great gift too! Hmmm, Mother’s Day is coming up (wink-wink). 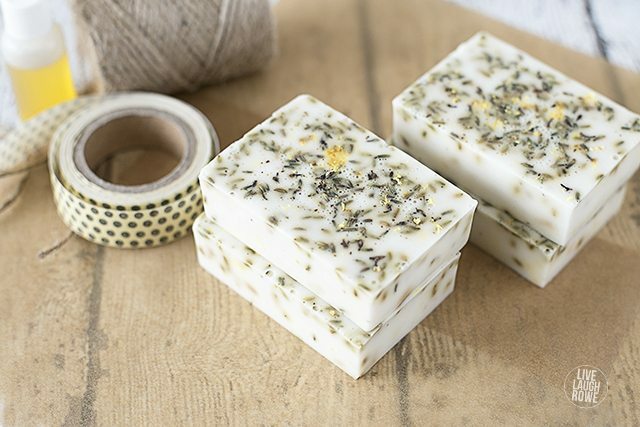 Looking for some other homemade bath and body ideas? I’ve got you covered! Looking forward to trying this as it’s just what I was looking for. Is it one and half cups or one cup or one to one and a half cup of epsom salt?